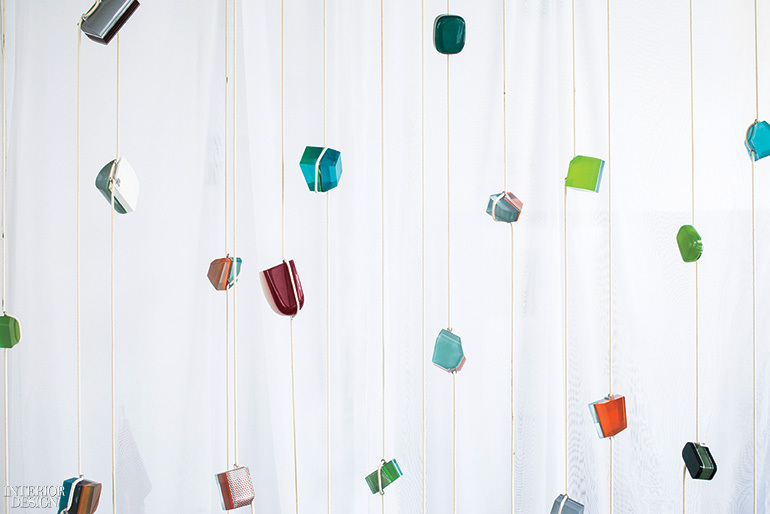 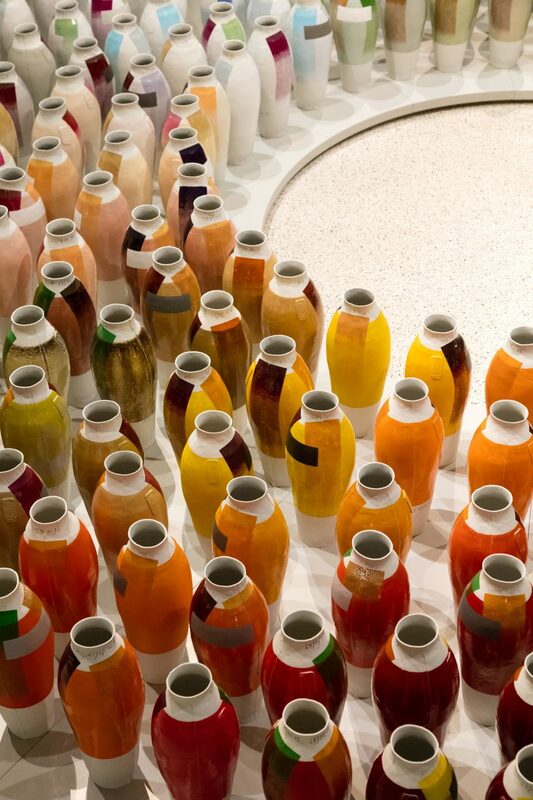 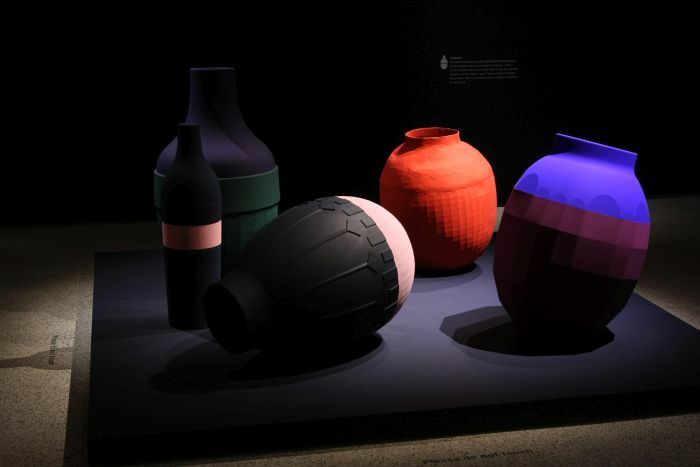 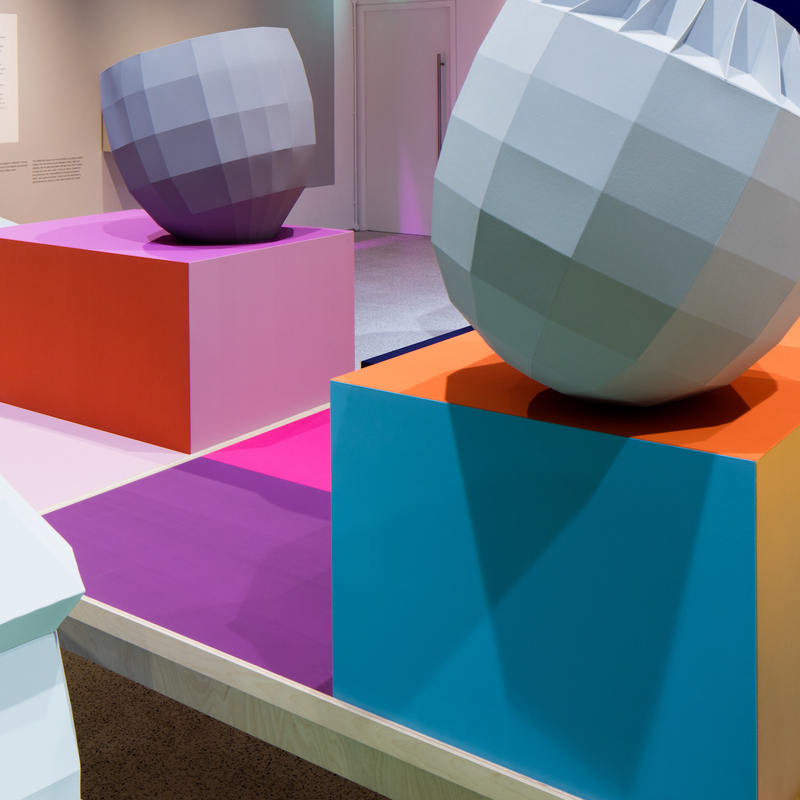 Breathing Colour by acclaimed Dutch designer Hella Jongerius at London’s Design Museum, is an installation-based exhibition that takes a deeper look at the way colour behaves, exploring shapes, materials, shadows and reflections. 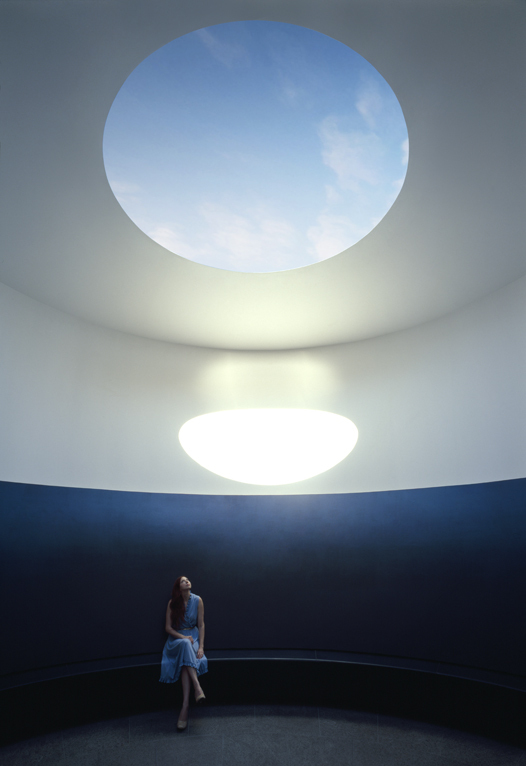 The way we experience colour depends on the quality of light. 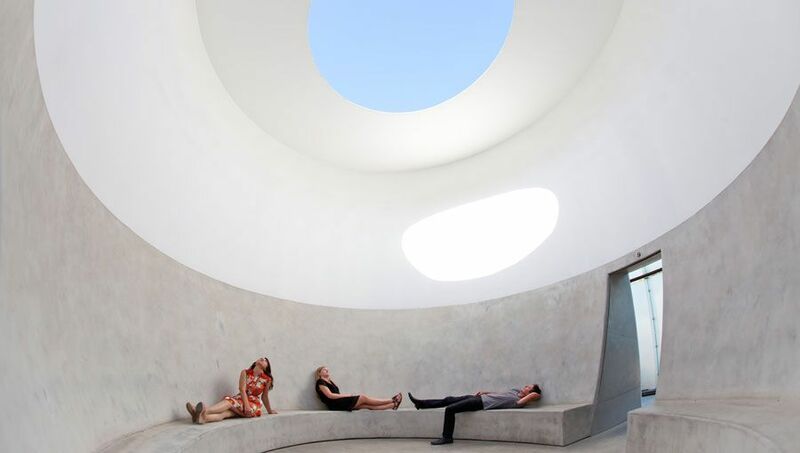 However, the quality of light especially daylight, changes throughout the day. 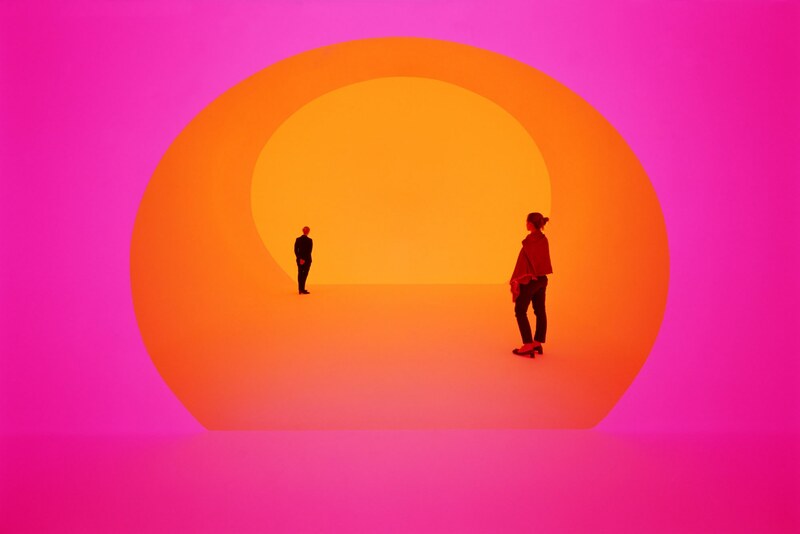 To reflect this, the exhibition includes spaces and installations that explore the relationship between colour and light at different times of the day. 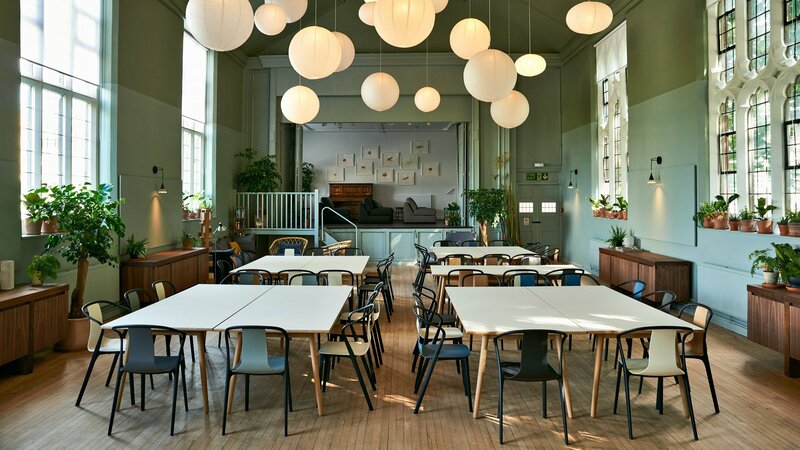 The most beautiful soup kitchen you did ever see designed by Ilse Crawford. 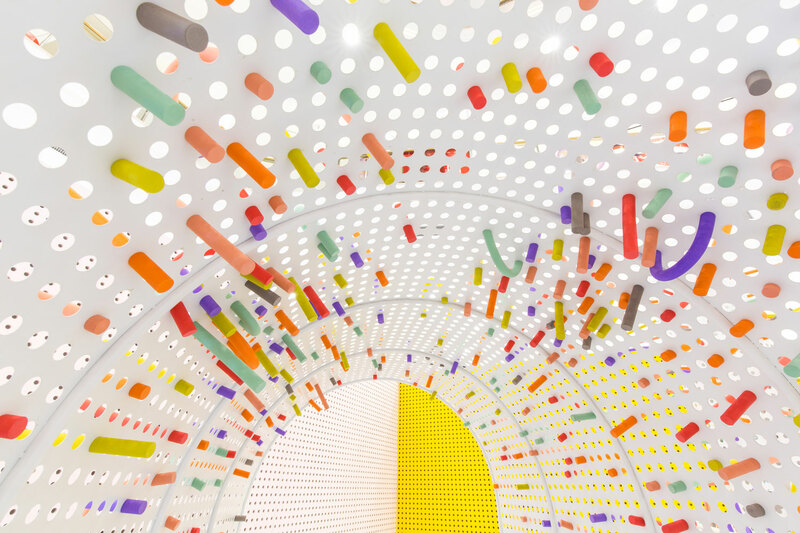 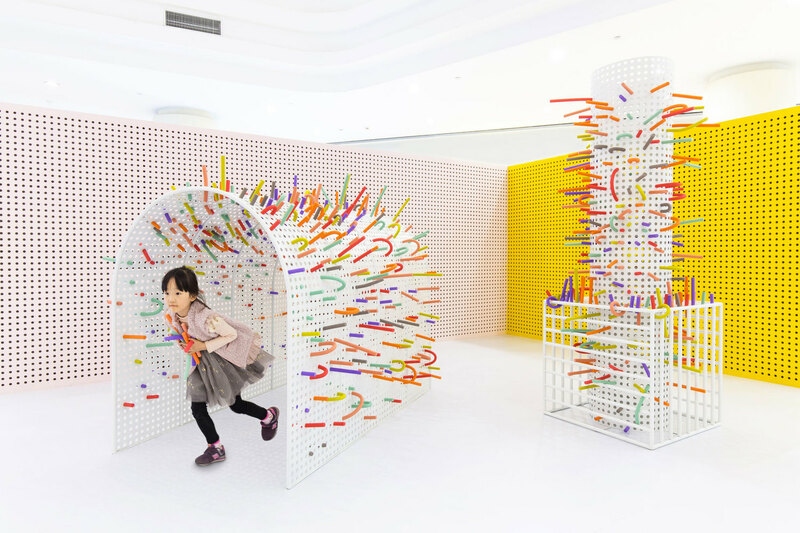 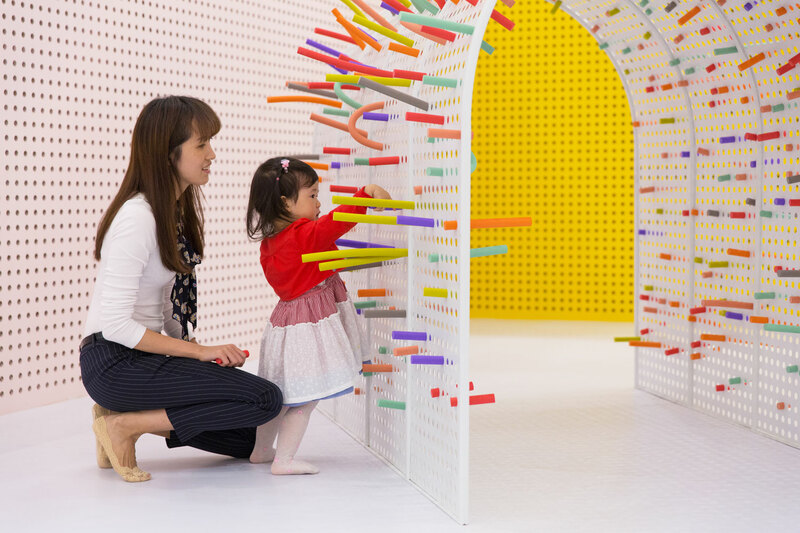 Designed to work like a magnified pin board, the space designed by Mathery Studio invites children to colour the space filling the perforated panels with foam tubes creating an entirely new landscape. 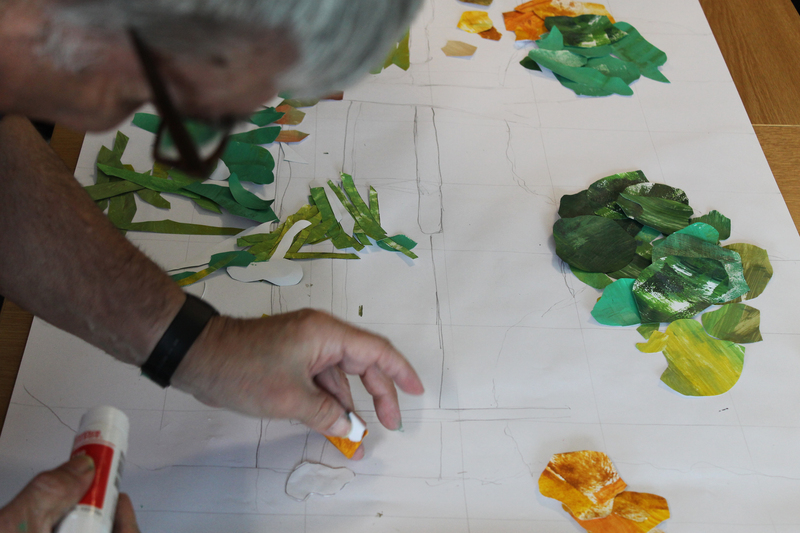 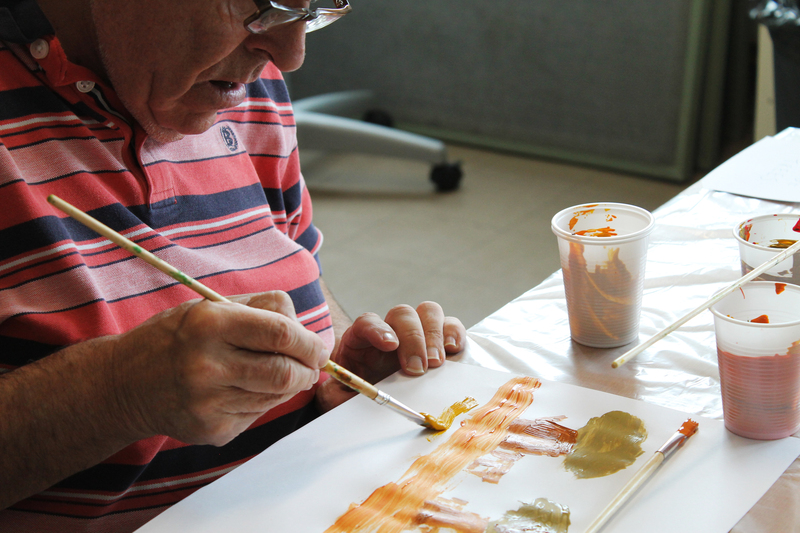 Sticking, tying and slotting creates a 3D colouring effect that has extremely satisfying results! 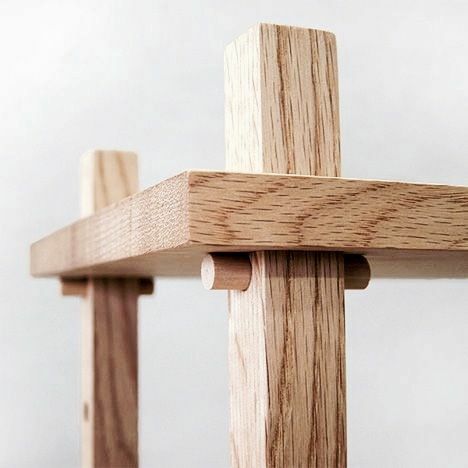 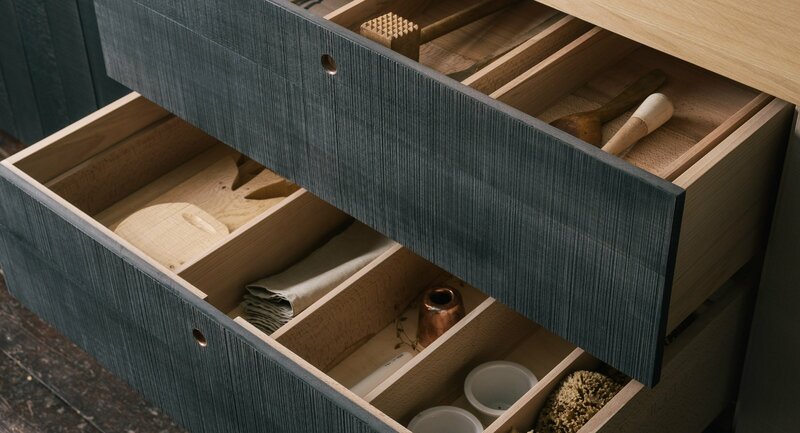 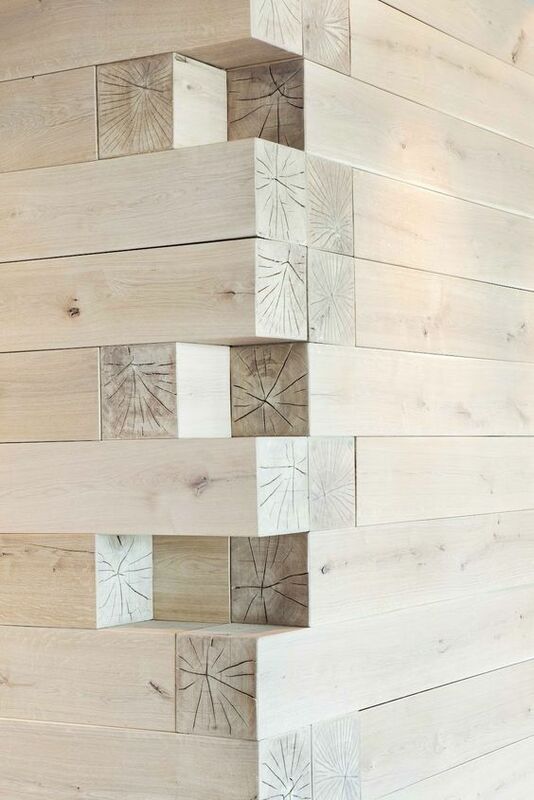 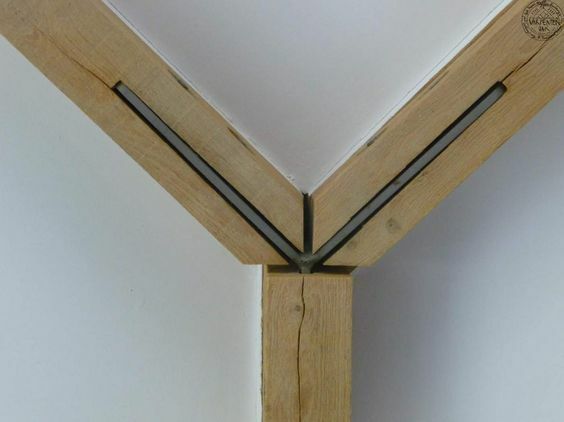 It’s always a great start to the day when you stumble on a product perfect for a particular space. 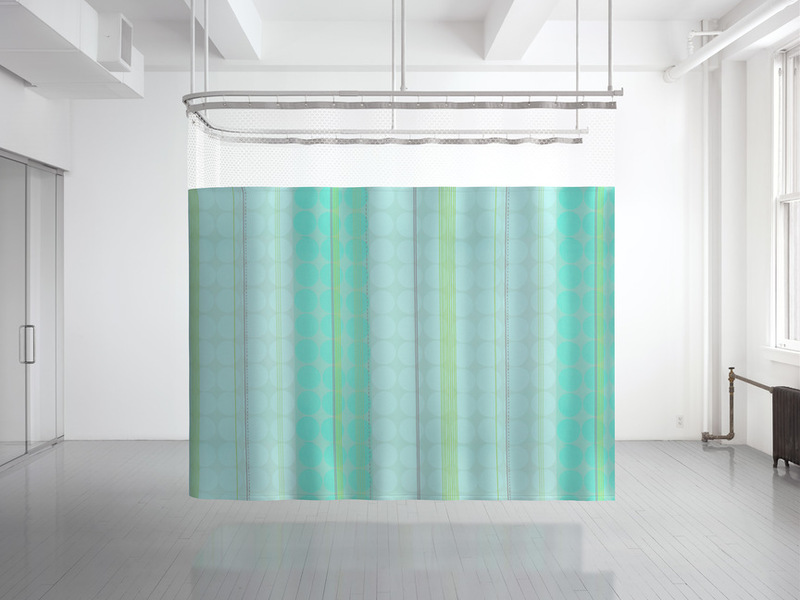 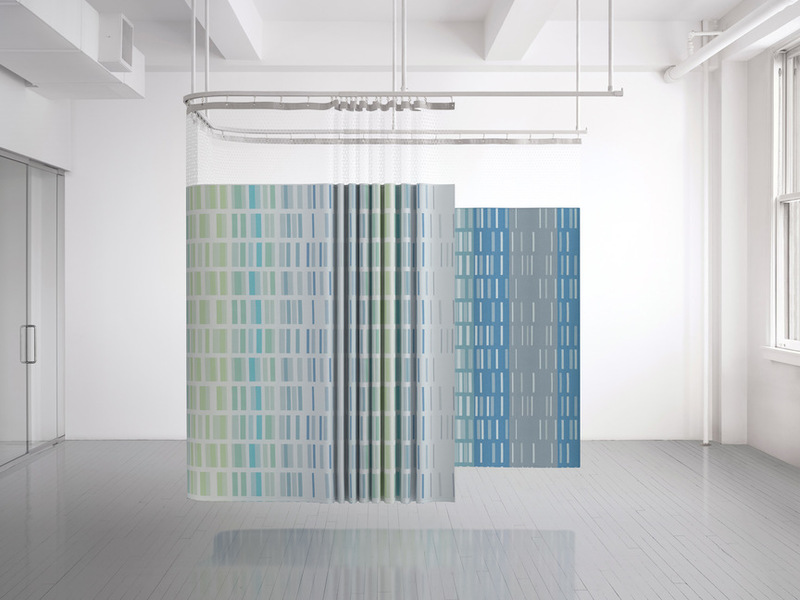 Maharam‘s privacy curtains would lift any healthcare interior and they are going to look great in our private healthcare clinic project. 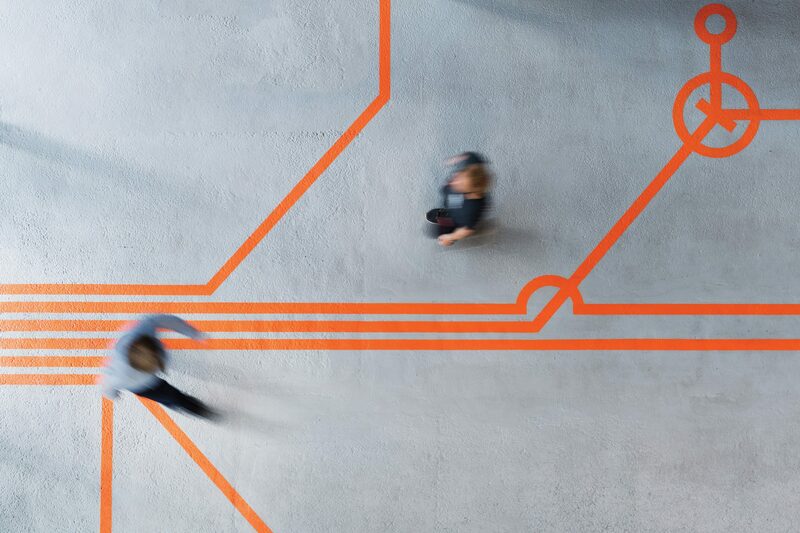 Creating a narrative that gives context to a companies ethos, approach or geographical identity should be at the heart of any design project. 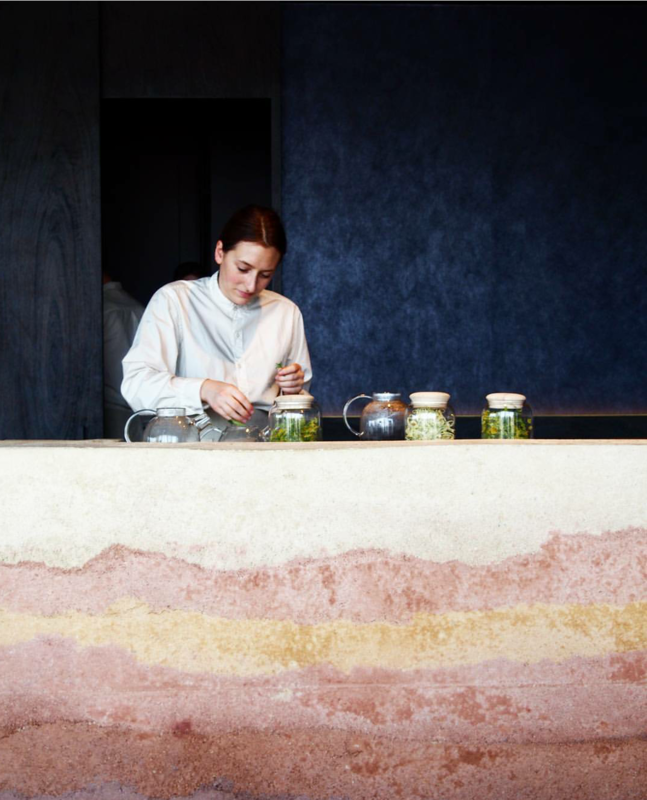 Through research, honesty to materials and process, Foolscap have managed to do just that in the design for the new Noma restaurant in Australia. 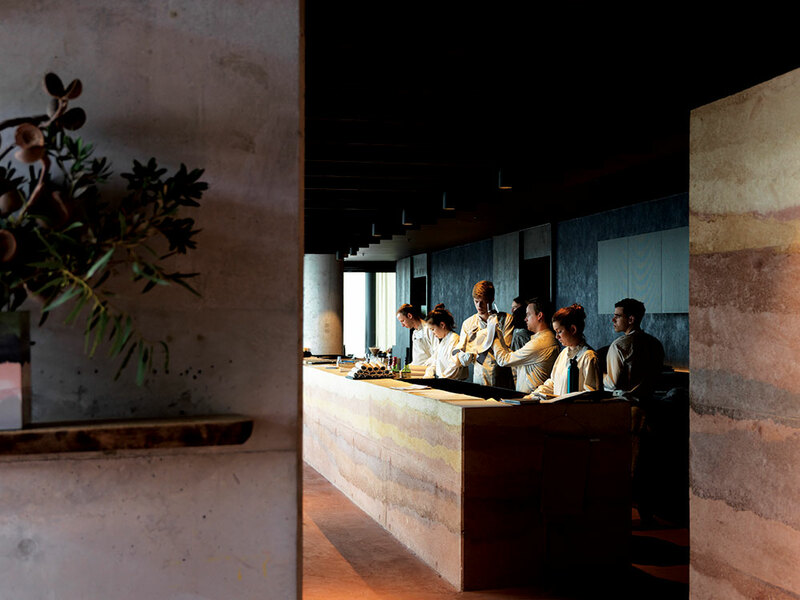 The design concept encapsulates the elemental quality of the vast Australian landscape – rugged oxidised earth, sweeping coastlines, open sky and the regeneration of native bushland through fire. 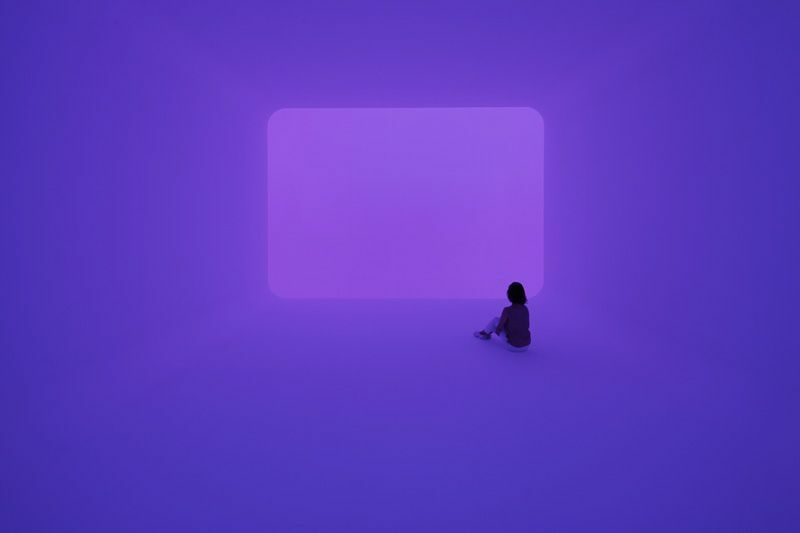 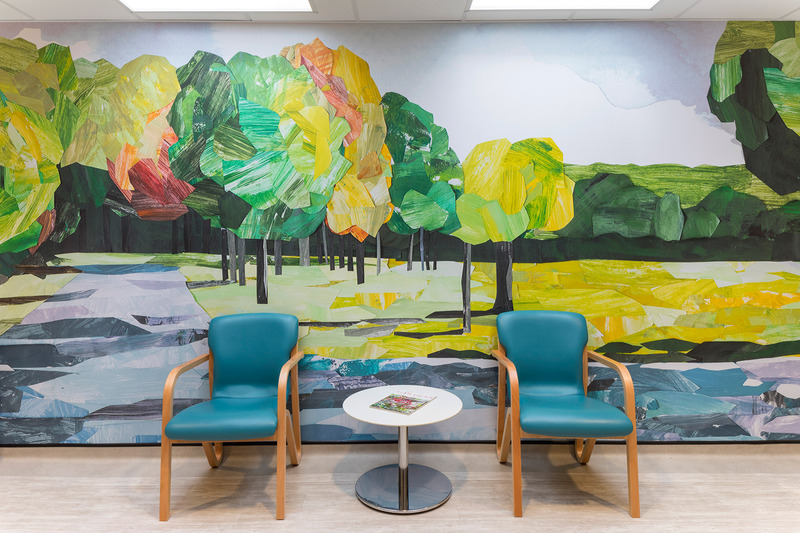 We’ve been revisiting the work of James Turrell for inspiration for a mental health room. 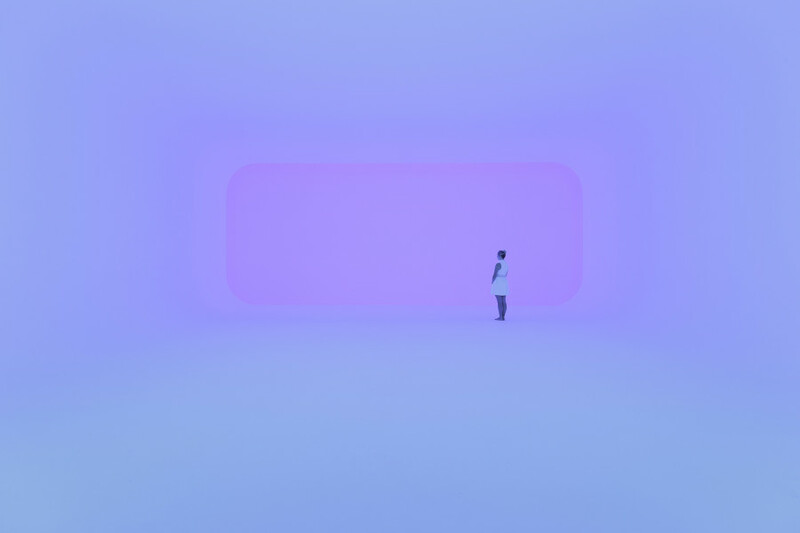 Although vastly different in some ways, we have found there is a lot that we can take from his immersive gallery installations and the manipulation of real and artificial light.